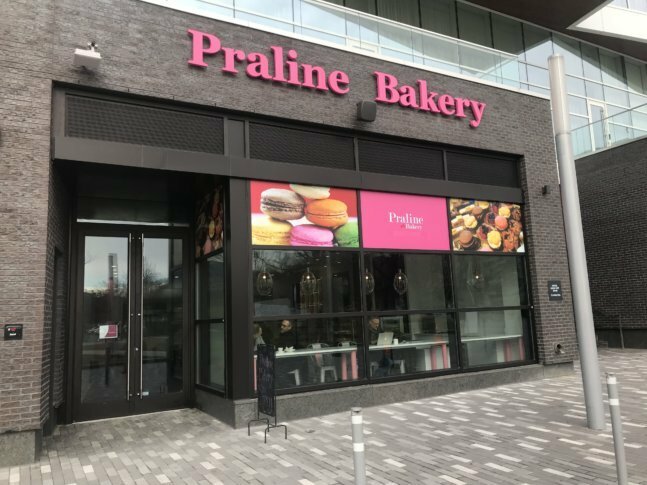 WASHINGTON — Bethesda’s popular Praline Bakery and Bistro has opened a new location at The Wharf in D.C.
Praline Bakery has a full menu at its new, 2,500-square-foot Wharf location, with pastries, cookies, cakes, macarons and coffee, along with soups, salads, quiches and sandwiches. It is adjacent to The Wharf’s 7th Street Park. Praline Bakery’s Bethesda location on Sangamore Road was opened in 2006 by co-owners Susan Limb and Patrick Musel. In 2015, the pair opened a second location in the Mosaic District in Fairfax, Virginia. “Praline has built a network of loyal clientele and fierce supporters who travel great distances to visit our bakeries and find their favorite treats. They have been urging us to expand for years and we are pleased to have found the right fit at The Wharf,” Limb said. The Wharf location, at 965 7th Street, SW, has patio seating as well as inside dining. It is open seven days a week from 8 a.m. to 8 p.m.